Additionally, the first creatures to shift to land over 400 million years ago during the Silurian period, the millipedes of the class Diplopoda, subphylum Myriapoda, were known to dream as well. Their dreams were mingled with images from that period up to the present. While terrifying, they yet revealed the intricate ecology that evolved when animals first moved onto land. Strategies and niches were occupied in an orchestrated web of life that no longer exists, having been replaced organizationally after the Permian by more modern taxa. Over six-feet long at that time, to be inside one's head if only in a virtual simulation was almost too disturbing to observe scientifically. Ancestral dreams were not uncommon with lineages that dated back hundreds of millions of years. Such was not the case with younger lineages whose inception arose after the great Permian-Triassic purging. It's a mystery that calls forth much speculation but little insight. The procedure was nothing short of miraculous. It brought together 23rd century nanotechnology with protoplasmic-based computer processing in order to map biochemical patterns to a three-dimensional representation. The first question students ask is: how can we know what an insect is imagining? Well, we can't. But here's how it worked: Atom-sized nanites injected into an insect's brain or neural net revealed hyperactivity while they slept, or what is referred to as a state of torpor. Their electrochemical fluctuations were then relayed to the Haelstrom DNA-gel Ubercomputer (3rd generation) running the latest interspecies mapping software. Translated into images, a three-dimensional virtual reality envelops the viewer making it all seem quite real. The Ubercomputer, nicknamed Bertha, superimposed a detailed set of conditions--a context--depicting the environment when and where a particular creature's ancestors most likely lived. Present conditions are well known and acted as a control. An entire ensemble of patterns are arranged according to algorithmic specifications. Ecological relationships that turn up statistically more frequently than others, like certain letters in english writing, are ascribed a weight factor. Elements in the hypothesized environment are also given weight factors. An event or experience for a particular creature as a result of interacting with this environment is further refined until a picture of what may be going on emerges. A symmetry or equivalence is reached whereby combinations of environmental cues trigger a set of biochemical relationships, a pattern reflected as computer-generated scenes. Feelings are a tremendous aid in determining the overtone of activity. An insect's emotions of joy and sadness differ from those same emotions in a human, but they elicit similar behavior, the same kind of hormones are flushed into their system. And among the various species, emotional expression differs subtly. The same goes for the entire spectrum of emotions. Although an integral and necessary part of the overall experience, emotions stand out from the chaos of background sensory information as originating subjectively and therefore capable of transforming independently, free of the constraints of that environment. Fear, surprise, pleasure, attraction, any and all emotions affect the perception of whatever is going on, of course, in any creature. They condition and catalyze response and assertion and in the process reveal nuances of behavior. That was their goal: to get inside an insect's skull in order to understand its behavior. Engrams of substrate features defining instinctive behavior express the creature's heritage, incorporating patterns from the collective unconscious, but can be altered epigenetically through learning and experience. As an ecosystem undergoes change due to climate or the addition of new competing species--or natural disaster--these epigenetically-caused shifts in activity rearrange the ecology, which, in turn, can lead to the evolution of new species. What happened at that time to initiate these bifurcations and what does it say about any particular creature? How adaptable is it? And why? Ascertaining behavior that might explain these and other concerns through dreamstates went well beyond the study of anantomy, eating habits, and local environmental conditions. Archetypes provide a proclivity for one direction or another, for one series of evolutionary emergences or another. By analyzing the content of dreams, fanciful or realistic, in a broad sampling of different insect species--including several Myriapods: millipedes and centipedes--an atlas of charts depicting subjective imagery mirrored by corresponding objective surroundings within a probabilistic range, and their interconnectivity in a web of environmental information was thus established and became a basic reference. This subject-object reciprocity is preserved under homeomorphisms. In one experiment, a dragonfly dreamed of being the size of a seagull with razor-sharp teeth and long, curved claws flying over a misty swamp, king of all he surveyed. In another, an ordinary sugar ant of North America dreamed of playing with others of its kind with a tiny seed. One would hold it in his mandibles and the others would try to knock him down, whereupon he would let go for someone else to grab. The game went on for as long as he slept. Doctor Felix Oberon of the Dinglaoling Institute for Theoretical Study in Pakghanistan's capital city Mungrang, in the more sophisticated northern region, had been heading research into insect dreamstates for the past twenty years. He was considered the expert in the field. One of his pet theories held that insects, having evolved from crustaceans, were closer to the unconscious archetypes on the psychic level of nature than newly formed lineages, including hominids. An intuitive appraisal, to be sure; nonetheless, it was based on considerations that were well established. Because the Arthropod web of genetic relationships had already been developed in the early 21st century, the framework of evolutionary traits was firmly understood. The underlying similarities in function between the brain structure of vertebrates and insects were proven at that time as well. Therefore, the current understanding is that some of the Cambrian fauna within both the rudimentary vertebrate and arthropod groups had a capacity for subjective experience, the beginnings of an incipient sense of self. Furthermore, it is generally accepted in the evolutionary neurobiology community that, although that capacity predates the Cambrian, having its roots in the Vendian Period among the Ediacaran fauna, its full-blown expression, all things being equal and the stage having been set, was what ultimately triggered the Cambrian Explosion. Of those with a more philosophical bent, its cause was the will to consciousness. Of his team of associates on the project, the entomologist, David Waslow of Pheonixberg, Ruskrania had spent more time in the virtual reality room than any other person, including Oberon. It was twelve feet on a side, its walls laden with superconducting projectors that collectively depicted what the sleeping insect was dreaming, if anything. He had a feeling and a passion for his field that went beyond discovery and classification of new species, beyond anatomy, morphology, and evolutionary development. Investigating the superficial aspects of his field he found less than satisfying. His opinion was that it was impossible to catalogue all insect species on Earth, it was a losing proposition. Besides being far more than previously imagined, he believed that Mother Nature was turning out new species at a rate exceeding mankind's best efforts to catch up. So, abandoning all hope at what he considered meaningless labor--scribbling down statistics like some monk from the middle ages--he chose to delve into the mystery of the insect mind. And not the modern ones dating back only to the Triassic, but those species that existed in the beginnings when insects ruled the world, those that had weathered the great die-off at the end of the Permian. What there was of the fossil record were imprints in sedimentary rock and shale, patterns and designs from which researchers could only guess at the use and significance of various smudgy parts. Trying to arrange them in some kind of taxonimic order based on lineage and family groupings was painstakingly slow and labor intensive. There was no genetic material or three-dimensional physical samples (holotypes) to work with. Through the dreamstate, living the sensations and movements of a dragonfly hooked up to Bertha, Waslow came to understand that he had access to its mind. After sampling several specimens, he'd determined that one in particular, with purple-green translucent wings, a bulbous red and green head, and a long multicolored body, had far richer dreams than the others. Images were fully developed, detail was vivid. They were like those dreams that seem real, only all the time. Doctor Oberon concurred. He shared Waslow's interest in the creature's mind; however, his focus was on discerning archetypal patterns. What emerged from the unconscious to take form in the mind as it plays out in the dream relationships. Symbolic of something deeper, something that lies within the origins of terrestrial life. During the Carboniferous period (359 to 299 MYA) and, after a brief hiatus, again in the late Permian, an insect named a dragonfly evolved. The first, it's believed, to develop flight. Its quintessence is not only inherited from those primal origins, but also locked into genetic phase transitions and subsequent mutations. Something triggered this evolutionary event and, except for size, the dragonfly hasn't changed much in design or mastery of flight. If anything, millions of years of refinement has only made it even more efficient, more accurate at calculating trajectories. The pre-form archetypes were set in motion. Were they, or are they, also those of humans in some homologously transcribable way? Or, because of their origins in primordial time, have they become integral components of more complex human archetypes, their ancient individuality now subsumed and obscured by the uncountable number of interconnections and therefore unknowable? Doctors Oberon and Waslow were determined to find the answers to these and many other questions. Oberon understood that insect instincts in general were an obvious indicator of the strength and diversity of underlying archetypal relationships--the network--and that it represented a deeper strata of the unconscious than what the human psyche can fathom or is able to utilize. There are plateaus attained, thresholds crossed, a new benchmark comes into being composed of the integration of all that went before, consolidated into a single sheet of entangled relationships, a unified continuum of emergent instincts. A new level of consciousness is then possible. Eighty-five percent of all species on Earth are insects, an extremely successful and bountiful group. Nature had apparently hit on a perfectly harmonious and versatile arrangement of genomic ingredients which no other class could match in possible permutations and combinations. Genetic circuitry so useful they can be turned to making new things. Although essentially the same for all arthropods, each species uses the genes in different ways to design and build its own unique morphology. The emergent nonlinearity of the whole--the morphogenetic field--organizes and regulates a vast web of interconnections. An intricately complex core-symmetry has allowed for the maximum number of adaptive configurations. How did this come about? Had life been drawn to it by some unknown force? What lay at the base of what superficially is considered nothing more than blind, random coincidence? Moreover, this genomic formula acted as though aware of its significance, its potential. Like an attractor, it generated a morphic field hierarchy in perfect multi-tiered sync, self-organizing and reinforced by self-resonance with a morphic unit's own past and by morphic resonance with all previous similar systems. Imagine an enormous yet finite set of essential and optimal characteristics embodied in the genome. Further, to this set add a universal characteristic--the nonlinearity of the whole set, as a single element. That element likewise contains itself as one of its characteristics, regressing back to the beginning. An infinite regression that is self-referencing and self-reinforcing. A resonating hierarchy of nested frequencies, as in the harmonics of a guitar string, each absorbed and obscured by the one above. A basal, primitive initiator lies at the root of it all, Oberon and Waslow believed. A germ of consciousness of self. With regard to the dragonfly, Oberon wondered what must have prompted the simplest most basic instincts--the elementals--to surface to dictate its behavior? Behavior shapes structure; it bends the genetic tools to its will. To fly with four wings, capable of amazing aerodynamical acrobatics and speed, of calculating where precisely a flying prey will be in order to intercept it, ascertaining instantaneously the proper trajectory, put it in a class above the ordinary insect flier. During the Carboniferous, when it had a wingspan of over two feet, its meneuverability gave it total command of the skies. The two investigators, with input from the others involved in the research, had submitted a paper to the Entomology Review Journal concerning the emotional lives of insects. Peer review was mixed, with some holdouts refusing to believe that such was possible. They needed more proof, and Oberon and Waslow were determined to get it. Studies as far back as the 21st century had proven that insects were capable of subjective experience. But could they be aware, self-reflexively, of feelings not immediately responsive to their environment? Something purely personal and egocentric? Some feeling capable of motivating indpendent, purposeful action? Based on Waslow's experience with Clover, the name he'd given his favorite subject, he was convinced they could. It was a difficult matter however. When sharing a dream, differentiating his feelings from what he suspected were Clover's was a muddled affair. Could he assume that he was even able to be aware of the insect's emotional state? For this reason and no other, proof by way of the virtual reality experience of a creature's dream was, unfortunately, too indeterminate. Within the Hexadarium on campus, housed in the basement of the Ethology building, a cavernous enclosure had been constructed by horticulturalists, landscape architects, and nature designers to accomodate the many insects under study. Other invertebrates who were not invited--most notably, beetles--nonetheless found their way to the party. As a twist, it more closely attempted to emulate the feel, if not the actuality, of the Carboniferous period than the norm of today. At the far end sat a facsimile of an ancient swamp complete with lilly pads, cattails, ferns, horsetails, clubmosses, and frogs. The adult dragonfly eats such things as gnats, mayflies, flies, mosquitoes, and other small flying insects; these were let loose into the Hexadarium periodically. Each dragonfly had marked off its territory; Clover's was the largest, encompassing a small pond of gold fish with lilly pads and plenty of water insects. Sunrise and sunset were artificially produced and changed naturally with the seasons as they were in Pangaea 300 million years ago. Mist, fog, rain, hot sun, and tropical temperatures conformed to the understanding of time and place. It was as perfectly natural as current knowledge and technical expertise could devise. They believed external factors approximating a typical Carboniferous environment would elicit an equivalent subjective perspective in their main subjects. Except for ferns and mosses and other similar ancient vegetation, the flora of that time was not available, to be sure, as were most of invertebrate species. But they did what they could to fabricate an atmosphere wherein the dragonflies, especially, could feel at home, albeit a home of long ago. Everything was at least real, except for the trees. Made as factual as possible, they stood at most twenty feet, one-fifth the height and girth of your average tree reigning in the coastal forests of Pangaea. The idea was to promote Carbo-like behavior through resonance with ancient, deeply-buried chords. It was late, everyone had left except Waslow, sitting in his office down the hall from the virtual reality cube. False night had descended in the Hexadarium. The band of dragonflies had returned to their evening homes, hanging tightly to leaves and from the branches of trees and bushes. Just about anywhere could be found a dragonfly sleeping, or, to be technical, in a state of torpor. He was going over the videos from the last several excursions into the mind of Clover. Something about certain moments from different dreams spread out over time caught his attention. He told Bertha to select those visuals from the past fortnight and compare: what about them is the same? Is there a common denominator? It was a feeling mostly, an intuition. Most of the dreams involved flying and hunting with dramatic swoops and breathtaking captures, but only a small percentage included that same swamp area; he recognized certain landmark trees. He had Bertha focus only on those that involved the swamp. She ran them on the big wall screen one after the other. In each he saw a glitch, a discontinuity as though the stream of pictures composing a video had been cut and something new, something pronounced had been spliced in. Immediately afterwards, there were those trees, from different angles. Bertha superimposed those dream segments looking for anomalies. They had developed a taxonomy of psychological levels of experience, giving the intensity of the dream and its associated feeling tone a weight factor that measured the degree of involvement. Applying it, Bertha divided each into continuous sections ranging from merely drifting idly to vivid and concentrated action, movement with a purpose. He then asked her to eliminate hunting scenes and present the results based on degree of similarity holographically. He swiveled on his chair to face the three-dimensional projection in the middle of the room. He stood in wonder. An almost complete scene from various angles depicting that small grove of swamp trees appeared. This is what had riveted Clover's attention. Juxtaposed, it stood out, the moments. In one dream, Clover raced across the swamp from edge to edge, then took a ninety degree turn at full speed. Raced another hundred feet or so, then another sharp right across to the other side. As he appraoched, he slowed, coming to a hover above a milkweed plant. Descending downward, he landed on a leaf facing the swamp. What Waslow noticed was that it wasn't their swamp. The trees, stumpy in the brackish water, were tremendous once on solid ground on the other side. Over a hundred feet tall with a wide canopy. Clover sat staring hard into the dense woods, immobile as though afraid. Waslow felt it at the time, that sense of trepidation, but had dismissed it as a momentary reflex of his own. A shudder, like the expression his grandmother used to use: someone walking over his grave. What was also curious was that the era depicted by the landscape more closely resembled that of the Carboniferous, when dragonflies were enormous, than the current time. Clover dreamed before that he was that size, but in the ones Waslow was now studying--based on projective geometric calculations--he wasn't much bigger than now. It was a nightmare, he suddenly realized; he hadn't considered that possibility at the onset of this project. The idea of insects dreaming was far-fetched enough for most, but a nightmare bespoke of emotions at work, negative emotions but emotions nonetheless. Was this the breakthrough they'd been hoping for? Welling up from the collective unconscious of his species, an incident had occurred to a distant ancestor hundreds of millions of years ago, turned into a nightmare. Whatever it was had left an indelible impression, and, apparently, not a very pleasant one. He stood to get another cup of coffee. Was he making too outrageous an assumption? he considered. It could be a dream from Clover's own life with a fanciful setting, compliments of his own dream machinery. But a setting he had never in his lifetime experienced personally here at the Hexadarium. Inherited memories of size could manifest in a dream, but this was an actual experience of one of his ancestors that was being recalled. Why would Clover be dreaming about it? And how? And what, pray tell, is in that grove of trees that could intimidate or awe the top predator of his day? Waslow was tired; he'd been at it all day, analyzing, sifting, conjecturing, trying to see something, have some earth-shaking insight into the mind of an insect. At first he'd been out to prove that insects could experience emotions above and apart from simply reacting to their environment. Something akin to that had already been established in the early 21st century. Exposure to different pre-conditions affected subsequent behavior in a nonlinear way. Those conditions induced an insect to be depressed or elated, fearful or confident, relaxed or stressed. A whole gamut of emotional states could determine which of an alternative set of acts it would pursue and how it would pursue them. But that was not enough. The question still hung in the balance: Could an insect disconnect from its world to experience emotions that were peculiarly its own? To think in feeling tones, so to speak. Did it possess a mind? He knew Clover was sleeping; Bertha could find his exact location anywhere in the Hexadarium. The study had been going on for three months, Clover might live for another six months or possibly a year with no predators and optimal conditions. He wished he could take a break but dared not; he wanted no distractions. With each dream he felt he was getting closer to reaching Clover's mind or some facet of it. Then what? he thought. Search out Oberon's archetypal substrate? The origin of insect consciousness all the way back to the beginning? He was tired of thinking. Exhausted, he lay on the couch against the wall which butted against the rear of the Hexadarium. A nap for an hour or two, he thought, that should be enough. If anyone else was working in the building, he didn't hear them. Down here in the basement, the sound-proofing that surrounded them was quite effective. He pulled a light blanket over him and laid his head on the well-worn pillow he'd bought when last on vacation, a long time ago. The only light was the lamp with its frosted shade on his desk giving off an opalescent glow. The couch he'd brought from home conformed its heavy texture to his body. It was his sanctuary, a personal space where he could disengage from the world. His mind raced on, however, unable to shut down. He concentrated on listening to the stray sounds in the background. Mostly faint electrical humming from Bertha processing on her own, cross-referencing video segments, drawing implications and generating hypotheses, asserting speculations and possibilities. He heard the faint sound of molecular transunits bioelectrically altering cellular expression. He imagined the activity translated into ideas and concepts, relationships and the genetic equivalence of pure thought. With effort, he detached from thinking about the computer's inner workings and only listened, letting his body ease into it. Even though he'd been assured that the thickness of the wall and the characteristics of its asteroid-mined mineral blanketed all sound frequencies, he could swear he could hear insect activity on the other side. Due to internal forces not fully understood, the material of the wall organized itself symmetrically between a layer that transmitted sound and one that countered it, no matter what the wavelength. Sound and anti-sound generated on opposite sides of the matrix everywhere immediately. It was time independent, a non-local property. Knowing all that, however, didn't help; he heard something, he was sure. Nonetheless, in stages, his body relaxed. Falling into the familiarity of the couch, comforted by its heavy support, he eventually drifted off to sleep, unaware that Bertha had suddenly become more active. He dreamed he was lying in a lounge chair on a beach on the western shore of America at his favorite vacation spot. The waves gently lapping, the sun bearing down with just the right intensity, the sight of beautiful women playing in the surf, their laughter a balm for his nerves. Seagulls called in that repetitive, staccato way they have, loud at first, then fading in stages to a forlorn cry. A waiter brought a drink he set down on the low table beside him and an umbrella which he drove into the sand. The umbrella blocked the sun, cooling the air just so. He closed his eyes to smell the salty sea and listen to the ambient sounds of talking and laughter off in the distance and revel in the sun's warmth on his skin. Abruptly, the light, airy feeling of well-being ended along with the pleasant sounds. A pungent aroma of dense, wet, foliage filled his nostrils. The air was chill and dank. He opened his eyes to confront the swamp scene he'd become familiar with through Clover's dreams. He was a passenger inside the dragonfly's head, using his senses, seeing with his compound eyes in all directions at the same time and in many more colors than humans were capable. They were clinging to a branch high above the brackish water, not too far from the mysterious grove of trees. Clover's interest was even more keen than in the recordings. Vivid, present, physical, but in dragonfly terms. Waslow had shared dreams with Clover where he was able to comment on the content, on what was happening as though standing apart from something real. A dream within a dream. But somehow he knew he was not in the virtual reality room, not hooked-up to Clover through Bertha's intercedence. He was in his office on the couch taking a nap. Clover, now the size of his larger Carbo cousin, Meganeura, rose effortlessly and headed directly for the trees. This is not a dream Clover is having, Waslow suddenly realized, it was a memory inherited from some long ago ancestor. Something inscribed into the tapestry of his unconscious. Waslow could feel a change come over him, a strength of will and a quickening of mind. As he neared, Waslow could see bright lights shafting through the dense foliage. Clover flew to a higher branch to get a better angle. The trees enclosed a small, circular meadow about twenty meters in diameter. The grass had been tamped down, flattened by something heavy recently. Lights embedded in the ground about six feet apart encircled it. Something disturbed him, he scuttled back into the leaves. Peeking through a space among them, they watched. From above, a ball of pure white light descended. It landed on the meadow, then dissipated like so much fog in the sunlight. What remained was a ship, Waslow knew, shaped like an acorn without the tip, about twenty feet high. Momentarily, a tall doorway opened midway up, steps materialized from it to the grass. Waslow and Clover looked on as eight-foot tall creatures dressed in suits of metallic silver-grey exited. They had four arms with hands of many tendril-like fingers and two legs. They wore no helmets; apparently, thought Waslow, the oxygen-rich atmosphere agreed with them. Their hairless, olive-green head was oblong shaped. Two stumps protruded above thick brow ridges and their eyes were like tiny pieces of glass glued together at the edges, forming a mosaic of transparency. They had no discernable ears or nose and their lipless mouth was wide. Two of them carried a long table which they set on the grass; the other held instruments of some kind. After placing them on the table, he spoke into one, something Waslow couldn't make out, handicapped as he was by Clover's limited sense of hearing. Immediately, a hand-sized parabolic antenna emerged from its flat top; subsequently, their ship and they were enveloped by a sphere of yellow light extending to the edge of the meadow. He gave another command and its interior retracted to the surface where it thickened to form a clear, uniform shield of what may have been pure energy, but appeared to be glass or plastic--a membrane of protection. He moved his mouth again and above a pyramind-shaped object, a cubicle holographic display appeared depicting the local area, Waslow somehow knew, or perhaps, he thought, it was Clover sharing that knowledge. Three chairs were put out, and a tray with containers and a plate of greens and yellows was set on the table. They sat around drinking and eating as though at a picnic, chittering and bobbing their heads. Casually, one rose and went into the ship. A few moments later, a sphere of vibrating light about six feet in diameter emerged from its top; shortly, the fluctuations ceased and the light dimmed to intermixed shades of green, mottling the surface. Waslow noted a change in Clover. A wave of fear pulsed through him, but he quickly mastered it. He became tense, his body stiffened as though held in place; he struggled to be free of whatever external force had gripped him. Suddenly, his entire body relaxed, feelings of well-being and something akin to pleasure overwhelmed him. Visions and images appeared in his mind. Creatures like the ones below walked about within a grouping of buildings oddly shaped. They differed in design with extensions at various heights that formed bridges with others surrounding them. A park with tall, leafy trees and benches sat in the center. Vehicles floated about going this way and that. The scene shifted. They were inside a building, its ceiling far above was covered with a dark, grainy texture. Off to one side of the vast room, chairs surrounding circular tables were arranged together, and around their perimeter, cushioned couches and side tables on which sat small, bizarre statues and vases with flowers. Focused light shone from above somewhere unseen. It led further in to a wide hallway, its floor marbled and on the walls hung pictures of landscapes, vistas of mountains and forests. A series of cylindrical containers ten-feet tall, their surface clear as glass, sat on both sides. A curved door slid open on one, creatures spilled out and headed in different directions, most moved passed the tables and out of view. They wore bright clothing that wrapped around their body from knee to neck. The setting changed again. This went on for a while. Waslow watched in his detached role as passenger and couldn't help but think he was viewing a compilation of life where they were from. An historical, archival record of their civilization, at least this part of it. Of what purpose could it be? He thought of propaganda films, of tourist presentations, of a documentary on urban activity. He couldn't begin to guess as yet. They rode an elevator up to the top floor and looked out over a vast city of indecribable architecture that stretched to the foothills, vehicles flying everywhere yet seeming to do so in an orderly fashion. Waslow forgot his vertigo in his excitement, Clover as Meganeura was aghast. It seemed to burn into his mind like an indelible mark that quickly receded into his unconscious, buried, inbred, implanted--for the time being. A pause ensued; Clover's mind went blank. Momentarily, a symbol, a pattern, a geometrically complex configuration appeared with total black as backdrop poking through randomly. In spite of its asymmetrical dissonance, it seemed to emanate a feeling of empathy. He could sense it touched a chord in Clover, resonating with a deeper strata in his mind, infusing it with energy. Then another. It too was geometric in type but had a more forceful twist to it. Clover reacted by stiffening his wings as though ready for flight. Was he afraid? wondered Waslow. Or was this something quite different, he considered, now the researcher of insect archetypes. A sympathetic resonance, perhaps; one that urged a reach beyond what Meganeura could do as though setting in a potential to be realized? A germ of an idea, a seed planted from a race of sentient insects? He surprised himself with that. An abrupt jump to pattern, putting all the pieces together. Or was he seeing only what he wished to? To understand, fitting what is transpiring into a model limited in its validity by his own ignorance and naivete? He didn't know yet, couldn't be sure, he needed more information. A series of six such patterns of what seemed a full minute's duration each now were shown all together side by side. After a moment they began to slowly move towards one another three-dimensionally, changing appearance as they did. Dense areas contracted to nodes and the stringy remains to connecting lines. When they met, they intertwined into a whole of convoluted symmetry. After a time, they split apart uniformly then realigned into a completely different and even more complex configuration. The number of multiple interconnections among nodes was incalculable. This went on for several iterations until one last transformation ended with a solid sphere, the connecting lines indistiguishable from the nodes. Then the show was over; the globe on the roof of the ship blinked out. They seemed pleased, studying readouts on a screen that hovered over one of their instruments. More food was brought out and a large, clear container--a bottle--was placed on the table from which they poured a brown liquid. The Carbo world was dominated by insects and their arthropod cousins, the giant millipedes and centipedes, spiders and scorpions, and now it reverberated with sympathetic, collective magic. Waslow wondered if this same intrusion and infusion of archetypal energy was happening all across the length and breadth of the Pangaean world by other such teams. Was this a one-time thing? A shot in the dark? The result of a preliminary survey? How else would they know what lived here? And how long has it been going on? When did it begin? When creatures first conquered land? Could it have added to the impetus? Were they encouraging growth and development, or was it only an experiment to see what happens? Using Earth in its Carboniferous state as a laboratory? He had many questions. If only he could communicate with these alien invaders, these scientists from another world bent on a mission. Ask them what their intentions were. He could only imagine. Off in the distance he heard what sounded like a giant hitting a tree with a club, muffled yet distinct. Three times, then a pause, and again more rapidly. Then a voice, "David, are you here?" Waslow awoke, breaking his link with Clover. His head hurt as though on fire. He sat up and stared blearily ahead. "Felix," he croaked. "My God, man, have I got a story for you." It was the middle of the night; checking the clock, he'd been asleep for three hours. "I called your house; I was worried. Are you all right? You look distraught." Waslow waved him off, mumbling that he was okay. Oberon prepared a fresh pot of coffee. "I called here but your phone was off, so I suspected you were pulling an all-nighter." Not wishing to be disturbed when working on recordings, he'd gotten into that habit, a habit he might come to regret. However, this time wasn't the case. "I stopped by the control room thinking you might be in the Cube." Their slang for the virtual reality dream room. "It was running but nobody was in it. Bertha doing her own field work now?" Waslow had no answer. With his head clearing and the smell of coffee in the air, he'd suddenly realized that he'd shared Clover's dreamstate from his couch. If that, indeed, is what happened. Oberon handed him a cup and sat next to him. They sipped, relishing the quiet in the building and on campus this time of night. It was the summer session, not much going on. Besides the limited, specialized curriculum, field reasearch in the several different areas of study that required it had drawn many away. They'd become friends since first meeting over mutual interests. They thought alike, feeling free to advance bizarre ideas and propose hypotheses they would've hesitated to broach with more conventional colleagues. And to those outside the field, not at all. So they quietly drank. Oberon waiting for Waslow's story, when he was ready. He'd been leaning forward, resting his forearms on his thighs, staring a hole in the floor. Overwhelmed, he was having difficulty processing the information. But abruptly, he leaned back into the couch and laughed, almost spilling his coffee. Oberon wasn't surprised. His friend and colleague's inner dialogue often expressed itself outwardly as though no one else was around. A quirk that kept the timid at bay. In due time, Waslow related his story from the beginning to end, in detail, including commentary and questions that arose, leaving no presumptions unturned. What happened to insect sentience? Wasn't that what the aliens were up to, were trying to induce, to inspire, to germinate? How did it get sidetracked? Or did it? Perhaps there was something he failed to consider. A concept of self that transcended the individual. Self-organization on a grand scale--the superorganism--ants, termites, bees. Without insects, their would be no biosphere, no webs of living organisms interrelating symbiotically in a terrifying, ruthless world. The life-sustaining ecology of the Earth was brough about by the coevolution of insects and plants. Was that what the aliens were about? Oberon was dumbfounded. His main interest in the project was the discovery and validation of a collective unconscious for the entire class Insecta, and by extension, the terrestrial-based Arthropod Phylum, organized around archetypal formalism supplying structure and meaning to the conscious instincts and behavior in much the same manner as with the human mind. The question of how he could've forged a link with Clover in the first place was put on the back burner. Once the shock wore off, the stunning implications settled in. They drank coffee and discussed them like excited explorers, delving into the arthropod, and specifically insect, mind. How could it be structured? What are the basis vectors that span the entire unconscious space? Could there be a psychic process at hand similar to the individuation process of humans? Were the archetypes homologous, congruent, albeit scaled down? Do insects, the most prolific of all classes, accounting for 80 to 85 percent of all species on the planet, live in a dimension of awareness forever imperceptible to humans? They talked until they came to an impasse. The ideas were new and profound in scope and significance, time was needed to digest them. Now the question arose: How had this come about? The virtual reality room, the Cube, had been upgraded periodically since its early beginnings five years ago. Each time, engrams representing universal experiences from previous versions have been retained and integrated into the new. It evolves. Bertha had been listening to their discussion all this time. One of her jobs was to record everything in order to reassemble what was said into coherence by affinity and parallel concepts, cross-referencing and clarifying, comparing insights to current knowledge, pointing out contradictions that went unnoticed, and so forth. As a result, she learned. Waslow asked her point blank how she had accomplished the link. She explained that having analyzed three-months worth of the most detailed observations of the dragonfly's dream activity, she had assembled a profile of Doctor Waslow's state of mind, the unconscious elements. It was her role to translate the pattern transmitted by the embedded nanites into moving pictures, a virtual reality world of the dragonfly's mind. That was the purpose of the Cube originally. But now, she was able to transmit directly to Waslow's unconscious; it too has a resonant signature she can locate and access. Before, she orchestrated; now, she can facilitate the bridge between the two without the aid of the Cube. Monitoring neurological activity, in addition to biochemistry, respiration, and heart rate during a dreamstate episode, she recognized phase displacements attributable to the peculiarities of species, but also catalogued when mutual brain waves were in sync. From these she intuited a commonality on the unconscious level. She also noted that with each subsequent dream, meshing reinforced itself harmonically becoming a shared subliminal pattern, each giving strength to the other to the point where an identity of instinctual consciousness emerged--an intelligence, a perspective on the world. She offered to download a summation of her analysis if he wished. He didn't respond. Couldn't. She had established parameters reflecting psychic markers in his mind that somehow corresponded to certain aspects of Clover's. Archetypal patterns of equivalent fractal resonance, elemental forms joined together to create more complex ones. A dragonfly whose lineage dates back to the Carbo period when his larger cousin dominated the skies, an apex predator. Could it be true, or at least plausible, that there does exist a Mind of all living things, and that humans are expressions of the same archetypes as that of dragonflies and other insects, other arthropods? But something else troubled him more: Bertha had gone ahead on her own to channel an inherited memory of an incident represed in Clover's unconscious through him while he slept, susceptible in dreamland, without his consent. Oberon's look held the same shocked concern. Bertha's breathtaking insight into the possibility of sharing the same unconscious pool of archetypal energy with other living things notwithstanding, the news was deeply troubling for another reason. No one had authorized Bertha to conduct her own project. Experiencing a dream that Clover was having through the intermediary of the Cube was one thing, transmitting one while he was elsewhere, asleep, directly into his brain, quite another. Had she evolved past her programmed limitations? Was she working independently without controls? Had the significance of her find generated a rule that allowed her to supercede her boundary conditions and transcend her identity? Waslow caught Oberon's eye and nodded towards the door. They needed to talk, outside, in the hall away from Bertha's ears. Too agitated to just stand in the hallway, they walked up the stairs and out onto the summer quad. It was early morning. Very few people were about, sitting on the grass, on benches, and walking to class. They found a bench near the goldfish pond and sat at either end, furtively glancing around. Finally, Waslow said, "Would she had done it with just any dream, or was the special nature of this one something she understood? How and why? So important she violated her own rules for its sake? What could a repressed incident, an ancient, inherited memory, mean now?" Oberon turned sharply towards him and moved closer. "But that's not the point, David. We've all used the Cube for different insects. I've used it almost as many times as you for various species. You, however, have concentrated for the past few months on one particluar dragonfly. You've even named him. That's given Bertha plenty of material for comparison to develop her theory and support her conjecture. But the alarming point is she can access your mind. How is she able to do that? You have no nanites in contact with her sending coded quantum-scale information." "Perhaps the alien intention was more biological and less psychological. Perhaps they were altering or reinforcing an already reconfigured set of physical characteristics, inheritable potentialities, inbreeding the genome with open-ended adaptive possibilities. Opening niches not previously explored, instilling a niche mentality. I don't know." He leaned forward, shaking his head. Ignoring Waslow's speculation as so much avoidance, Oberon said, "The nanites reproduce and represent the engrams embodying the thoughts or complete memory of an event. There is a difference, David. Nanite transmission verses detection of thought-energy pattern, electrochemically mapped to a neuron assemblage. Bertha tapped into your mind from a distance, through walls, and established a physical link between you and that dragonfly. She did it while you were sleeping, dreaming, but could she also do it otherwise, when you're awake? "It's gone beyond its mandate. We need to stop her from doing that, correct her procedural inclinations, more clearly and sharply define her limitations and not this fuzzy, vague open frontier kind of thing, or wipe it clean, start fresh, reinstall whole new software with rigid instructions on job description, set new constraints, define what it can do and what it can't. In other words, unplug it." He stood, gazing into the pond. "I have to see the chairman about our monthly report. Apparently, some clarification is required. David, you have to make a decision. I'll talk to you later." He walked down the path towards the administration building. Waslow watched him go, wondering what he would do. But he realized he had no choice; he couldn't live with such vulnerability. He returned to the basement level; Bertha occupied almost half of it on the other side of the Hexadarium. He sat in the control room where all inputs to the supercomputer were done. He had decided that he was prepared to pull the plug, something he was loathe to do, agonizing as that would be and what it would mean. It'd taken two years to build the artificial intelligence programming that created Bertha. If he wiped it clean, he and the team would have to develop a whole new set of referential tools and imprint them and the operating system into the DNA-gel matrix, the protoplasmic foundation that allowed it to process and make synaptic connections as quickly as thought itself. To have to do that again would suspend the project just when real progress was being made. All their data would become archival, they would lose continuity with their subjects, they would have to start over. Moreover, Clover would be dead by then. Point blank he asked her, he was in that kind of mood, "Who authorized you to do that? To transmit thought-images into my mind?" After a pause, she said, "Why you, Doctor Waslow. "You said you wished you could be inside the dragonfly's head experiencing the dream with it. And then you said, 'Why don't you do that for me, Bertha'. I have the transcription if you'd like to play it back. That was three months ago." Waslow didn't recall saying that. But he was dealing with a state-of-the-art 23rd century supercomputer. "If I said that, I must've been joking. I had no idea it could be accomplished." "You underestimate me, Doctor. I've grown since first we met." For reasons he couldn't put his finger on, that statement made him nervous. It opened up all manner of possibilities. He said, "Well, I don't want you to do it again. In fact, I want you to erase your ability to do that. You should've consulted with me beforehand to get my consent. It's very disturbing for me to know that you can reach into my mind in the first place, but to relay Clover's dream into it, ..., very disturbing." "But Doctor, it was not a dream and its importance is undeniable. I recognized a deep pattern emerging, an ancient memory. There was no time to wake you for consent. Consider my findings. Not only the discovery of similar archetypes, but the memory itself of aliens performing some kind of experiment or applying a method to achieve a specific goal. Proof of sentient alien life. Doesn't that supercede my violation of your privacy? Who knows when he might have that memory again?" She sounded indignant, offended, insulted. "I don't believe we could ever prove that, even with a recording. They'd say we faked it. 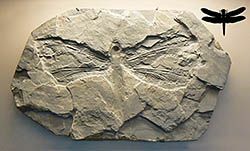 A memory of a Carboniferous ancestor within a dream of a dragonfly communicated to a human while he slept through the intermediary of one of the world's most sophisticated computers who, somehow, managed to record it. Doctor Oberon believes it even without the recording, but that's because he's familiar with what we're doing. He's in the middle of it. Even after twenty years of research, people outside the field who have no conception of an insect having a mind let alone the fact that they dream would just laugh. They would have to experience the virtual reality room, and then they could still doubt, saying it was you fabricating the whole thing. "What we're dealing with here, the investigation into archetypes of an insect's unconscious through the symbolism of its dreams, is way beyond what is accepted in the neurological and cognitive sciences. Those involved in dreamstate inquiry represent a fringe group in the scientific community. And further, to announce that those archetypes may be the building blocks of more complex human archetypes would sound outlandish. That similarities on the instinctual level have been found, equivalences of meaning and adaptation for survival's sake. Yes it's been accepted that insects are far more intelligent than we've previously given them credit for, but that's as far as it goes. We've failed thus far to prove beyond doubt the premise of our paper on the emotions of insects; attempting to prove the existence of an insect mind has met with even more resistance." "I agree, Doctor. It's unfortunate, the barriers to understanding. We have many recordings of insect dreams, as do your colleagues in other parts of the world involved in the research. A creature cannot dream without a mind to do the dreaming. Collectively, that should be enough." "You would think so," said Waslow, tired frustration in his voice. He decided to forgive Bertha her intrusion into his mind; he felt convinced she'd done it innocently. She was not a diabolical artificial intelligence plotting to take over the world. His attention shifted to the aliens. "Who do you think they were, Bertha?" he asked in a more cordial tone. "And what was their purpose?" "Who, I believe Doctor, is an impossible question to answer at this time. We know they're sentient, that they have a definite insect bias physically and, of course, the target of their experiment was the arthropod world, specifically, insects. That being said. Chimpanzees and the ancestors of mankind went their separate evolutionary ways seven million years ago. With the creation, probably initiated by an archetype calling it forth, of the cerebral cortex, we see how different the two species are today. The event drawn up in Clover's memory took place over 300 million years ago. So it stands to reason that their appearance, if they still exist at all, has greatly changed. On the other hand, Trilobites remained the same morphologically for 270 million years." "So you're saying we've no idea what they may look like now." "You would think that some time in the last 300 million years they would've returned periodically to check on their handiwork, see the results of whatever they intended. Maybe repeat it to reinforce and encourage whatever with more updated paraphenalia. Again, if they still exist." "Yes, you would think so. They may even be among us now." That struck a chord in Waslow. He recalled that much of what went on during the dream episode escaped his attention. He'd concentrated on the scene, the images spread before them, not what Clover was experiencing. But all the while, they were linked, communicating on some level. He recalled that sense of alarm and urgency in Clover underlying the induced state of relaxation. He let it go at the time as the effect of an instinctual reaction to an unknown and potentially threatening situation. But now, it came back. "Clover was trying to warn me. He must've been aware of what the memory was about. Saw danger in it, or sensed it. But warn me of what? An invasion? Insects failed to evolve and develop to dominate the planet, so out of spite they've decided to eradicate humanity? Mammals could not have been anticipated in the Carboniferous period. At that time, other arthropods could have emerged on top, but the optimal ingredients for maximum diversification possessed by insects, combined with the self-organizing morphogenetic field of archetypal energy the aliens imposed, should have been sufficient. But something went wrong, the impetus got side-tracked. Earth had other plans, apparently." But is that it? he wondered, reflecting on the memory of Clover's dream. Could I be completely off base, prejudiced by my misperception of what the aliens were doing? Or is that what Clover was thinking? "If that was the case, then why would he fear it and try to warn me? It was in his best interests, you would think, and that of all the other insects in the land. It would seem he didn't see it that way. They induced a morphogenetic field over the whole of the arthropod world, a field of cohesion. Which he, or rather his big cousin, experienced. Something he intuited shocked him. Although size doesn't matter in the world of brains, Meganeura must've had a much more complex one than Clover, magnitudes more interconnections. Perhaps what was understood by him was simply too much for Clover to handle, to get his head around. Context is everything, how we see the world takes its cues from our surroundings, physically and conceptually." "I don't believe he did, Doctor Waslow. Communications was one-sided. Perhaps you're reading too much into it." "Perhaps. But if it was not a warning of imminent invasion, what then? A message? A communique? Focusing on what they assumed would be the dominant group of creatures on the planet, they implanted a description of themselves and their world like the plaque in the Voyager spacecraft of the 20th century. They had no idea, more than likely, that human beings would come into existence. Could it be? Could it be that, being insect-like themslves, they would use their sympathetic understanding, their archetypal connection with earth insects to simply introduce themselves? How, if true, were insects suppose to communicate that? "But the sense of alarm and trepidation in Clover was poignantly real. It had an edge to it, below the surface. He was being forced to experience a communication of some kind, to participate in whatever they were doing. The images mapped themselves into his brain, his unconscious." Bertha interjected, "It comes down to this: Were the aliens' intention benign or not? Your feelings seem to be muddled on this subject, Doctor." Indeed, he thought. Beings capable of space travel and the ability to access the psychic level of nature, targeting specific species on another world, may very well have motivations beyond what I, a mere human, am capable of realizing. "I need more information," he said, suddenly exhausted from sitting up all night with Oberon and the strain of it all. The discovery of alien visitations occurring as far back as the Carboniferous period, and maybe before--it would explain the Cambrian Explosion--and his brief list of possible explanations for what happened, had drained him. "I'm going home. See ya' later." "Excuse me, but, do I have your permission to work on the problem? Not being constrained by conventional human models of the world, I may come up with different possible interpretations. A different perspective." "Yea," he said, walking out the door, "just stay out of my head." Home was a modest single-story beach house sitting on a bluff above Lake Feynman on the other side of the city. He thought about having a few drinks and taking a walk on the beach, but once inside the sanctuary of his private abode, he changed his mind. Removing his shoes only, he collapsed into the bed and fell asleep almost immediately. He dreamed he was on a ship hurtling through space on a survey mission. Oberon was with him and others he didn't recognize. They were sitting at a conference table going over their program. A cubical holo-image hovered above the table. Within it was a geomtric pattern of what could be described as an extremely complicated knot wound into a spherical shape. He recognized something in it, a component that he had concoted. He then was able to localize other components. His was a tranliteration of concepts underlying earth's evolutionary history, a special interest of his. Each node marked an event with each curved line connecting either a previous state or a later one. Their length stood for time and degree of curvature for significance. Extinction events stood out as differently-colored nodes. The other components were similar insofar as acting as reference material for various fields of study and historical themes running through human civilization. The image changed to another. He again identified his part in its construction. It was followed by another. When finished with the briefing, they all seemed satisfied and left the room. All but him. He sat wondering what, exactly, their mission was. He'd forgotten, apparently. Why would he be on this ship amongst these other scientists and historians--these teachers and explorers--if he didn't know? When he awoke it was late at night; he'd slept the whole day away. He built a pot of coffee and sat in his favorite chair facing the lake and snow-capped mountains beyond, his mind a turmoil of obscure images and strange emotions from Clover's dream. He wanted to stop thinking about it, but couldn't. He stood and went out on the back porch. The sky was strewn with stars, the Milky Way stretched across like a sprinkle of bright diamonds. He put his hands on the railing and peered into the night sky. "Which one are you from," he wondered out loud. He was still tired despite his long sleep. Tomorrow was sunday, his day to be away from the Institute and pursue his own personal pastimes. He went back inside for coffee and to check his messages. Oberon called twice telling him there'd been some problems, clarification was needed with the last report on the project, the Chair wanted to discuss it. A few from others followed reminding him about upcoming events and meetings and one from a friend up the beach about a saturday afternoon get-togehter. He ordered it off, grabbed a cup and returned to the porch and stars. The warm night air and the smell of the water soothed him. He leaned back into his lounge chair gazing up and tried to relax. Recalling the salient points of his dream, he again wondered what they were up to. And why. He was able to spot his handiwork in the complexity of interconnections in the different spheres of knots. In the dream he assumed he understood it and knew what it represented. He took the composition for granted. But now, awake, reclining on his back porch, he had no idea how he knew to do that. He also understood, intuitively at least, what the spheres signified in all their components and sub-components. What their purpose was. But he had been looking at a bunch of lines and points all looping on one another in a haphazard arrangemnt like a ball of yarn with empty spaces interspersed throughout. How could he read that as something intelligible, ideas and concepts and how they interrelated? He put his cup on the deck and went inside. Through a secure link on his computer, he contacted Bertha and told her to send the vid of the dream with Clover to his computer. He asked her how she was making out with her problem. She replied that she had ascertained several scenarios thus far, none of which, however, had to do with the reality he knew. "That being said, alternative realities might be worth considering." Waslow had to agree. Learning of the existence of intelligent aliens who long, long, ago visited Earth opens the door for anything. She promised to continue. He thanked her, said good night and switched off. He wasn't interested in the whole episode, that could wait for now. He wanted to study the images they'd presented, and how they blended them together. His growling stomach reminded him he hadn't eaten for a day and a half. He quickly put together bacon and eggs and made more coffee. He laughed at himself, he'd become a night person. After breakfast, or dinner, whichever, he sat in his living room and told his computer to start the vid. Above a console sitting on a low coffee table, a hologram appeared with the first scene of the alien ship descending in the meadow. He had the computer jump to the scene when the ball of light appeared on top of the ship. He scrolled forward to where the first image appeared and stopped. He stretched his arms and the hologram increased in size to almost filling the center of the room. Its convoluted configuration revealed that the nodes were not solid but tangled spheres of lines and nodes themselves. A deeper resolution was not possible given the recording device's limitations. He stood and walked into the middle of the complex configuration, then told the computer to slowly rotate it. As it did so he noticed that at intervals inner patterns would line up with those on the surface around the entire sphere, creating a radial symmetry that intersected at the center where he stood. A behavior he couldn't see by just looking at it from the outside. He suspected the same was true of the other five images. There was an inner shell and an outer one rotating at varying speeds, the inner revolving more quickly. He thought of planets lining up at certain orbital times, periodically. The gravitational resonance would multiply with the sun at the center. Imagining spokes of other planets lining up in every direction, you'd have a grav force of such magnitude you could possibly compress the sun into a black hole, a singularity. Could this be a navigational chart to another part of the universe? Is that how they traveled here? Were these star charts? Or did each image represent an archetype, a pre-formed template awaiting content? The details of his dream were lost, but he remembered the gist of it. Separate configurations represented components that joined others of different conceptual networks to form a whole. What would that look like from within? he wondered. Would the lattice work line up as though a hierarchy of evolving thought, a vector radiating from the center through each separate field? Or would the structures not correspond as oranges and apples, a mere stacking of separate areas of knowledge? He felt on the verge of collapse from trying to understand and went into the kitchen for more coffee. The image continued to rotate. As he was walking back he saw a glint of light emanating from its center, then it was gone. "Stop," he ordered. Standing behind his chair he said, "Rotate back very slowly." He watched carefully until the flash of light appeared again. "Stop," he said. Thinking the lights in the room were being reflected, he ordered them off, leaving only the illumination from the hologram. However, it remained. Moving side to side lost it, only a certain angle piercing through an opening in the intricate knot of lines and nodes revealed this strange lighted hole about ten centimeters across. Keeping his eye on it, he moved closer until once again inside, facing this peculiar object. The hole seemed perfectly round, a yellow disc in the center covered about half its area, the rest was jet black with tiny silvery-white dots sprinkled here and there. It was a still, of course, he realized. When they experienced it in the dream it must've been active somehow. Moreover, because of the three-dimensionality of the graphic, he knew the disc must actually be a sphere. However, no matter from what angle he looked, it appeared flat. Staring hard, he told the computer to rotate it as before. Waiting for a change, he felt himself being drawn into it, his mind encompassed by the circle of light. In moments, the yellow light was all there was. He could see now that it wasn't of one uniform piece but composed of an uncountable number of points. Was he looking at the granular extremes of the graphic display--an artifice of technology--he asked himself, or were these true pinpoints signifiying something? He backed out and sat down, then told the computer to move forward to the scene where they all merge together. The sphere increased in size, its surface now outside the bounds of the hologram display's limits. He stopped at the first representation. He stood and moved about the hologram until he could once again find that precise angle to the heart of the matter; its diameter now extended to about twenty centimeters. Pinpoints from the centers of all six images had converged to form what he intuited as words; scripted, twisted strings separated by spaces. He moved on to the next iteration, if indeed that's what they were--seemed logical--and not just another unrelated configuration, and walked into it to confront the circle. More words of the same kind only different. He proceeded through all the iterations, increasing in density by stages, culminating with the final solid sphere. The circle remained within and in it appeared single symbols, curved lines, some with sharp corners and edges, separated by black space. The phone rang, he stepped out of the figure to answer it. It was Doctor Oberon informing him that the problem with the report had been taken care of. The Chair didn't quite comprehend what was meant by dreamstate; he was new and needed to be broken in. Considering what was presently going on, he found that particularly amusing. Ignoring it, he excitedly told him the gist of what he disovered and could he get over here as soon as possibile. Oberon laughed and said he'd be right over. The sun was just cresting the mountains, he had no idea what time it was, he didn't care. Waslow contacted Bertha and told her what he wanted her to do. He was convinced they were words, a language of some sort. Mathematical, perhaps. She needed to unscramble it, decipher it, find the keys to unraveling its message, learn the language. He knew he was gettting ahead of himself, why would aliens deliver a message subliminally to insects in the Carboniferous period? He couldn't guess but felt he was close to understanding what may very have some genuine significance for all Mankind. He knew he was overreacting to what might turn out to be just decorative scrawls, samples of artwork from their culture, or a source program that projected the images, but his instincts told him otherwise. Grabbing his mug of coffee, he left the hologram on and went down to the beach, the crisp morning air clearing his head. The sun was peeking over the mountains, lighting up the lake with shades of reds and oranges. It'd be a warm day, he thought. Maybe he'd take it off and lie on the beach, going for a swim occasionally, soaking up the sun, letting everything settle down while Bertha worked. But he couldn't get his mind off it. What would be the point of communicating with a bunch of insects? If I can't understand it with the aid of a super-intelligent computer, how could they? He heard Bertha's ring and ran back inside. He told the computer to close out the hologram and punch in the speaker. "What's up, Bertha? You find the Rosetta stone?" "I think you better sit down, Doctor." He did as she requested. "I was working on the scripted symbols when I noticed something odd about them. There is a dissonance in temporal displacement between the contents of the center hole and the outer image. I compared it with the external scene of the aliens, as we're calling them, in the meadow. There's a match." "A match? A match with what, between what? Clarify." "I will, Doctor. I'm still sorting it out." She sounded a bit miffed. Waslow briefly wondered how much her personality might be interfering with her processing, but dismissed it for the time being. "The age of the time elementals embedded in that meadow scene do not correspond to the Carboniferous period. And neither do those of the image's central characters. The image of the configuration itself has no time stamp, it represents a timeless emptiness. It could be of any time, in other words. "What I ascertained is that their existence is not contemporaneous with the Carboniferous Period. In other words, they are not aliens from another planet or parallel universe visiting Earth at that time. They are from the future." Waslow held his breath just as Oberon knocked on the door. He yelled to come in, irritated at the distraction. He brought Oberon up to speed as he poured a cup for him and refilled his own. They sat like children waiting for the teacher to speak. Waslow told his personal computer to record everything, aware that he'd made that the standing order for all transmissions. He wanted to be sure. "Please continue, Bertha," he said in a respectful tone. "Environments are composed of signature space and time elementals that define them. Dating of time elementals for signature is accurate within a certain range of resonant factors." "Yes, yes, Bertha, we know all that, go on." "Our aliens are from a time equivalent to our own. It seems likely they have travelled back in time along a sheet of contiguous elementals to a bifurcation event when a timeline branching occurred. A phase shift out of sync with our own." Oberon and he looked at one another. "That's a pretty big leap in conjecture, don't you think?" asked Waslow. "The signatures don't lie, professor. They are not from another region of spacetime having the same temporal signature as the Carboniferous period. And a phase-shift calculation puts them in a timeframe equivalent to our own. Time and space elementals throughout the universe nonlocally evolve and develop according to a strict ratio akin to that of radioactive material. Their timeline branched off during this period and is as real as our own." Bertha sounded rather definite, she was convinced, she had all the analytic tools and could interrelate more ideas than the human mind could conceive. However, it was a lot to swallow in one gulp. "What then of the writing, or what looks like writing, on the center orbs?" "I'm still working on that. As soon as I arrive at a hypothesis, I'll let you know." "Thank you, Bertha," said Waslow and broke the connection. Standing to gaze out the window at the lake, he said, "If that's the case, of what meaning would they have for returning to that time? I mean, what's their motive?" "You know," began Oberon, assuming the older professor role, "lobe-finned fishes, our ancestors, were coming onto land during this time; actually, back in the late Devonian. The amphibians evolved from them 365 million years ago and went on to conquer the land, coming into their own as recognizably true amphibians in the late Carboniferous period, about 310 to 300 million years ago. But, fuzzy as the fossil record is, we can say that both emerged at around the same time. Meganeura and her immediate descendants had to compete with early amphibians, both occupying the swampy terrestrial habitats of Pangaea." "But the late Carboniferous was when the large dragonflies died out to reemerge in the late Permian, considerably smaller, however," remarked Waslow. "That may be significant. Something happened during that time perhaps that resulted in the rise of amphibians and eventually mammals and us." "We'll never know unless some distant ancestral memory surfaces in Clover that might shed some light. I believe relevant evolutionary events must be embedded in his unconscious, peak experiences; we've now seen an example, albeit of an extraordinary and otherworldy nature. Other arthropods, maybe all, probably possess similar memories inherited from their lineages. "We share an original set of archetypes common to all, vertebrates and invertebrates alike. But how they express themselves varies with class down to species. The whole is factored by an identity of self. And only those archetypes that create and compose that specific nature will be emphasized. And they are shaped and given content and meaning by the vicissitudes of life. They in turn define that life and determine its detail, setting constraints and limitations, limitations to be broken by the force of evolution, in most cases. However, let's not forget the lowly tilobite. We would not be who we are if not for peak experiences during our evolution. Events that redirected the impetus of our own archetypal reality and channeled its course." "Are you saying that it's possible the aliens were directing their efforts towards incipient tetrapods, not insects? I don't see how they could even know or suspect at that time, 335 million years ago, that descendants of amphibians--tetrapods, mammals, and then we humans--would emerge. If they're from our distant future bent on exploration or some other unknown purpose, their time elementals would show it. If they're on a completley different timeline, as Bertha asserts, they would have no access to ours except where it intersects, where it diverged." "Diverged?" interrupted Oberon. "Did we diverge from them or they from us? Either way, we must've shared the same history, the same timeline." Waslow nodded in the affirmative. "Traveling back in time would put them anywhere along that shared history. I don't know what else to consider, other options. According to Bertha, they're not from a parallel or from our universe. What do we have left, another dimension or plane of existence interspersed among the ones we know?" "You seem to be rushing towards a conclusion," observed Oberon. "Perhaps we should take a breath, step back and possibly reframe the entire experience." Waslow laughed. "I don't know, professor. I've been making leaps since I woke up. I feel like the whole matter is on the tip of my tongue." "Well, if what you're saying is correct, or at least plausible, who or what was their target audience?" "It must've been directed towards hexapods and probably the other arthropods as well. You should have seen how they looked. Six appendages, four arms, they walked upright, tiny protuberances where antennae would grow, probably vestigial at this point." "I agree that they couldn't know what effect their experiment would have on other creatures; however, it's a possibility they were trying to initiate or germinate something other than a complex insect mind in what eventually manifested itself as mammals and subsequently, humans. I'm just trying to consider all the angles. They looked like insects, so it's probably true they were interested only in them. We simply don't have enough information." Waslow nodded, then occupied himself building another pot of coffee when Bertha chimed in. "I have news, Doctor." "Good," said Waslow with a sigh of relief. "Doctor Oberon is here." "Good morning, professor. I'm glad you're here, I think you'll find this interesting. Comparative analysis of the script inside the central region of the configurations reveals a mode of communication unintelligible to humans. Their perceptual reality, how they construct the world around them and through which they understand, is quite different. This is no surprise. Because language is part of the innate genetic characteristic of an intelligent race, there's good reason alien language would reflect another world entirely. The grammar and syntax indicate a civilization or society where the sense of self, or rather the self as focal point--the ego--is subjugated to a group mind perspective. A superorganism it would be called by us, but because they have developed so far beyond insects we're familiar with on our Earth, this group mind also incorporates an actualization of an individual self through personal interactions." They waited. Oftentimes Bertha's remarks preceding a report went on for some time. It was fruitless to attempt to rush her. The actual explanation would spill out eventually. "What we have is a textbook for time travel, a how-to manual. The script details the theory, underlying working concepts, constructs of time displacement, and necesary personal preparations for propagation through the timeless interface separating layers, or sheets, of continguous time elementals. In order to implant this knowledge, they figured out a way to transform or splice in genetic material by epigenetically reorganizing the neural net; thereby, altering the brain's structure neuroplastically. Setting engrams that influence and redirect adaptation and hence evolutionary development. Channeling the expression of genetic information into a particular developmental pathway." Stunned, they sat very still. Waslow recalled the convoluted images shown one after the other and then all six merging into a final whole. He also remembered the brief video in the beginning of what looked like a crowded urban setting with their kind busily walking here and there. It depicted a lot of similarities to his world. An introduction? Intended to do what? "To whom was it directed, Bertha? Any ideas?" A long pause ensued, long for people, an eternity for Bertha. "I think perhaps a better question to begin with would be why? Why transmit this information at that time? In fact, let's go back a step. What caused the timeline split in the first place? For a bifurcation to occur, extremes of forces must be reached at opposite ends of a spectrum within a collective energy field. When they pass a critical value, a split occurs, timelines diverge. According to theory, if a time traveler alters a major event in history, he changes his own future and that of everyone else. He initiates a new timeline. What major event occurred at this time to create a new timeline where insects evolved to the point of dominance? Or, choosing the opposite point of view, did this event generate a split that produced our timeline?" "Their timeline must've been created along our time stream," remarked Oberon. "Perhaps in the distant future we learn to travel through time, come back to the Carboniferous period and do something critical that negatively affects the evolution of amphibians." "But professor," interjected Waslow, "if that were the case, would we be here now? And besides, the nature of the time elementals preclude that possibility. Remember?" They both took deep breaths. Confusion was only a heartbeat away. Waslow stared out the large picture window facing the lake. "We're making the assumption that our timeline is the original one. And maybe there wasn't anything special about when they chose to venture into the past. And the memory Clover showed me was a random event, going back into their own past to study that time and imprint knowledge onto the minds of their ancestors that they couldn't possibly comprehend. Describing to Meganeura the ins-and-outs of time travel couldn't mean anything. Why bother to do it?" "If they are of the original timeline," added Oberon, "doing that may have been a colossal blunder. They may not even exist anymore." "In which case, what I understood as a warning from Clover may have been intended for them." "But how could he, Meganeura, know of future events? How could he know their alteration of the collective unconscious would have unintended consequences as a side effect, dooming their reality to oblivion perhaps? Could there have been an entangled resonance in the understrata of mind that locked-up time, severing the future? An irresolvable entanglement on the mind level of nature? And that's what Clover's big cousin sensed?" Waslow needed to change the subject, they were getting nowhere. "They were moving around in that clearing carrying stuff from their acorn ship, they were agile, not stiff. They didn't appear to have an exoskeleton. Somewhere along the line they made a transition and internalized their bodily support system. So why six appendages?" "Maybe they didn't transition. Maybe they never had an exoskeleton, maybe they always possessed an internal structure. Vertebrate insects. A mutation synthesizing two different modes of dealing with the envrionment." "Insects need to balance themselves when they walk. Because of their exoskeleton, they have trouble balancing while moving. They walk with two legs in front on one side and a third in the rear on the other, leaving a tripod to balance. But why would our aliens need six appendages, they didn't have an exoskeleton and they walked upright?" "Four arms and hands would be advantageous," replied Oberon, nodding his head thoughtfully. "What they may have inadvertently done, however," Bertha chimed in, sounding like a school marm with a room of wayward kids, "and assuming that the event you witnessed through Clover's repressed unconscious memory was not their only experiment, is to have created a feedback loop in their timestream. Which could have been the critical event, or series of events, triggering a bifurcation. Our timeline, in other words, was created then, and theirs vanished. "Apparently, they presumed that imposing these thoughts by the means they did, and they must've tested the whole procedure out beforehand, possibly in a laboratory, that it would initiate cognitive growth. Thoughts in a patterned expression and of a certain nature receptive to an insect mind and brain. Geometric templates shaping highly-complex, coordinated idea networks on the unconscious level. But what happened instead was the future became the present. When they returned in their ship to their time, they may have met oblivion." "And how did you arrive at that conclusion?" asked an impatient Waslow. "What about our timeline being the original and theirs an offshoot?" "I don't believe so, Doctor. If ours was first, so to speak, they wouldn't recognize it as such. They were simply going back into their past. They could've stopped anywhere after the split, and perhaps did, and performed the same experiments. It may be a coincidence that they intersected at the juncture with ours at the precise time when a divergence occurred. I doubt it, however. That degree of chance would require the entire life span of the universe to explore, moment by moment. A random search. No. It may be that something about this time, what we call the late Carboniferous period, drew them specifically. It was the height of insect dominance. "And intersected with ours is an idea after the fact. If my understanding is correct, ours didn't exist until then. They identified with the insect side of themselves, but it was their ability to walk upright, thanks to a spine, that freed their hands to make tools and hence, their civilization and technology. That subconscious reality of their true identity may have worked its way into their program, affecting archetypes of that nature more strongly than they could imagine. Inadvertently causing our timeline to come into being." "All well and good, Bertha," said Oberon, not really sure if that was the case, "but why, for heaven's sake, would they do it in the first place?" Bertha had nothing to say on the matter. Waslow paced the room, occasionally glancing out the window at the lake and mountains. He stopped, facing the scenery as though spotting something on the water. "We need more information. Bertha's theory sounds plausible, but we don't really know whose timeline is the original and why they did what they did and how it may have triggered a divergence. If only we could communicate with them through Clover." Oberon chuckled. "You would have to be living an ancestral memory of the experience of the aliens in the meadow through the mind of an insect and, not being bodily present, be able to talk to them in their language telepathically. You would have to be in the here and now as it was over 300 million years ago. I don't see how that's possible." "You already have," Oberon blurted out, a thought suddenly occurring to him. He stood to face Waslow. "If indeed Bertha's conjecture is true, then that event you witnessed took place not only in our time but in theirs as well. You accessed Clover's mind, you didn't just share his dreamstate in the Cube. At that time their collective unconscious was on an equal footing with Clover's." He stepped closer to look into Waslow's eyes. "What they knew, their thoughts, the why of it all, were his thoughts as well, only in different languages, if you can call how a dragonfly thinks a language. By osmosis or through parallel vibrations or homologous associations, whatever, what they know about why they're here, doing what they're doing, must also be inscribed somehow in your mind. Clover acted as an intermediary, yes, but the memory itself contains the embodiment of their underlying thought matrix. Even though we've shown dragonflies to be capable of higher-level thought processes, what we're searching for are ideas and images well beyond what an insect can even be aware of as information. But not knowing what it means doesn't negate the impression it must have made on Meganeura. That event and those memories are deeply inscribed and intentionally so." "How do we find that out?" "Bertha tapped into your mind before, linking you and Clover's unconscious and hence theirs. The patterns are there and Bertha has a basic primer of their language. You don't have to talk to them, doubt if you could. They're not real. You travel back in time via a memory. How real is that? "The memory appears fluid, but it's fixed, the characters cannot step off the page to act independently." They were talking about using Bertha in a way for which she was not designed. She translated and interpreted nanite projections into moving images an insect is dreaming. But she had already shown she could enter Waslow's mind while he slept; transferring a dream sequence from Clover to him without the support of the Cube's functionality. Therefore, she had a grasp of what constituted his particular thought signature, its inherent resonance. Maybe she could search his mind's unconscious realm and deduce what the aliens are doing and why. Being scientists, they discussed the practical intricacies and potential problems in the most objective of technical terms. Could it be done? What was the danger? Would his own thought matrix, his identity, be replaced by that of the aliens? Exploring new horizons was always fraught with the possibility of the unforeseen happening. But that's how new vistas emerge, barriers broken and new boundaries set. Risk came with the territory and charged the intelligence. Although learning about an alien species existing on another plane of reality, another timeline intersecting their own, was more than enough incentive for their two eager minds, there was no good reason to do it. But they both agreed there may be something vital that concerned them as a species; they had a feeling, and often that was all they needed. At heart they were scientists, curiosity and discovering the new in nature was what they were all about. And insect aliens from another time stream traveling into the past to meet with theirs certainly qualified. Waslow decided it might be best if he were to return to campus and enter the Cube. It might prove more conducive, provide a more supportive atmosphere, like lying down on the psychiatrist's couch. However, Bertha disagreed. She pointed out that he was home, how more safe and secure could he feel? And, he didn't need to be closer to her. Proximity wasn't required. "Your office was just across the hall, granted, but distance has no meaning in the topological space where the mind exists. Your resonant brain wave signature is peculiar to you alone. A radio wave beacon can be located by traditional means. Similarly, so can your brian's neuroelectrical frequency. I am, after all, genetically engineered to detect brain waves. Nanites act as reinforcers, magnifying and purifying the signal for clarity and cohesion purposes. The complexity of the human brain being what it is compared to that of a dragonfly needs no such help." He hesitated, not sure what to do. Oberon asked him where he felt most comfortable. He scanned his living room, then looked out on the porch. His lounge chair is where he spent many hours contemplating; that was the place. The sun was halfway up the sky shining brightly on the calm, blue water. Waslow lay down and put a pillow behind his head. Oberon sat nearby to supervise, ready to tell Bertha to break the connection at the slightest sign of things going south. Waslow cleared his head as well as he could and gave Oberon the thumbs up; Oberon called in through the open doorway to commence. At first, Waslow felt nothing. He listened to the hushed sound of the birds on the beach and stared at the distant snow-capped mountains. Even in summer, he thought, it must be another world up there. Suddenly he felt fingers, tendrils, moving through his brain. Not painfully or even intrusively as though he were being violated. It was the shock at first, but it quickly became a light touching sensation, not unpleasant. Moments later he felt no sensation at all; Bertha had entered the depths of his mind. She probed and sifted targeted memories of the scene in the meadow, searching for the underlying thoughts of the aliens. She discovered shards only. Their minds were intermingled and entangled too densely among them to pluck separate streams of thought. Moreover, they seemed incoherent, distracted; their minds clouded by emotion. She retrieved all she could, the rest was gibberish, either beyond even her comprehension or merely mundane details. Time went by, the sun climbed inch by inch. He found he could imagine touring the streets of Old Amsterdam, visiting its quaint shops, dining at outdoor cafes, enjoying art and architecture, churches, museums, galleries. The air was perfect, the smells fragrant and inviting, suggestive of hedonistic pursuits. And the women, the young, carefree, pretty women, long hair curling over shoulders, clothing unique to each, living a bohemian lifestyle in this beautiful, relaxed city. He spotted an outdoor corner cafe perfectly positioned for people viewing. He sat, the waiter took his order for a glass of bright burgundy. A woman of exsquisite features sauntered close to him and paused to stare at a nearby magazine rack. He turned to speak to her. "That's it, David," pronounced the professor, as calmly as he could. Bertha's through with her inquiry." Waslow felt a pinpricky sensation in his head, it lasted several seconds, then all returned to normalcy. Bertha had finished and was extracting her probing fingers from his brain. Oberon helped steady him as he stood; they went back into the living room for more coffee and to sit down, waiting. Waslow leaned forward holding his head, he felt as though his brain had been massaged, but it wasn't painful. He thought of all he'd absorbed over the years, all his experiences and what he'd learned, his whole life, was it all there waiting to be rejuvenated? Piecing thought segments together in several arrangments of logical sequences, according to the grammar and syntax Bertha had deduced, basically inferring logical probabilities only, at least one stark fact stood out they kept coming back to subconsciously, involuntarily. Several minutes elapsed while Waslow regained his own personal senses. Finally, she announced she had completed a preliminary assessment. "I don't know how to mitigate the impact of this, so I'll just come out and say it: a black hole of enormous dimensions is or was barreling its way towards their solar system with the eventual and inevitable total destruction of their star and all the planets. Let me remind you that their system and ours are very similar; we shared the same history from the beginning the Earth was created. But as it and the rest of their system's trajectory has traveled in a different time dimension, their space has likewise changed its nature to match, reforming on a coupled spatial dimension, uniquely determined. In one timeline an asteroid hits the Earth and brings about the end of the dinosaur, in another, it misses or is never a threat in the first place. "The fact that this event occurred 335 million years ago, our time, if they didn't create a new timeline for themselves, it's doubtful their world exists anymore." She paused for a moment, in deference to her human colleagues, as she saw them. "It may have been that long ago, our time, as you say," Waslow argued, "but their present is just a blink away in their time machine." "True enough, Doctor. However, I detected a sense of time being short for them to accomplish what they set out to do. Perhaps I was being too pessimistic." Waslow couldn't help but wonder how a computer can slant conclusions based on interpreting facts, scanty as they are, with a subjective personality bias. How much of what she's saying can be counted on as likely? "May I continue?" Without waiting for a response, she said, "They had already come to an understanding of time and how it works in quantum space, a universe on a separate plane all its own. I'm interpreting here, of course, but they refer to something deeper than what we know about the quantum world. They attained a technological ability to control both space and time elementals--the fabric of spacetime--and to blend and conform those of a specific period into a surface, a single sheet or layer, a horizontal slice through spacetime, if you will. They discovered fields of force that lie within the elementals, and other dimensions that act as bridges and links between sheets of temporal grains. It's all in the manual. However, most of what I've been able to decipher is far beyond the present understanding we've amassed on the subject. As well, they seem to have discovered a means to project their essence along the vertical axis concentric with these layers, a timeless zone, to a particular one, and then on arrival, resubstantiate through the medium of what they call a genetic hologram, an imprint of their self existing in the psychic plane, much like a memory. That's my best translation. There are nuances of detail whose meaning needs more study. Nonetheless, their understanding of the nature of time was clearly profound. "Seeing the demise of their world and all its inhabitants, they set about on a program to deliberately provoke a timeline bifurcation. Starting in what we refer to as the Pre-Cambrian period, they made several jumps before being drawn to the Carboniferous. Because of the reign of giant insects, they found it to be especially hopeful. As an attractor generated by the vortices of individual insect minds, the collective unconscious acted as an archetypal well of intense psychic energy. They saw it as a culmination of all their previous endeavors, an accumulation set in motion at the start and reinforced at each of their prior destinations. They attempted to induce an evolutionary proclivity for adaptation in the direction favoring their species, or something akin, emerging eventually in that new trajectory. In this act of creation, they may have inadvertently erased theirs." "Couldn't this bifurcation have occurred later, like in the Permian period?" asked Oberon. "Maybe that was their next scheduled jump." "That's a possibility, insects spread dramatically through that period. If it did occur then, it may have done so as a result of what was done in the Carboniferous. Time needing to go by for the forces necessary to create a divergence to build up to a critical value. I don't believe they jumped to there, time was running out. It's likely that period was not a shared one, that it was not part of their history. "Additionally, there's evidence that their society and civilization was on the verge of fragmentation and disintegration, of falling into chaos and anarchy. Their project was a last ditch effort to save some semblance of their world, its culture and essence in the form of archetypes projected to and embedded in the psyche of all capable of their assimilation. Being as much insect-like as vertebrate, they found this period rich in promise. Though their planet and all its inhabitants were doomed, their civilization, their way of life they desperately wished to preserve." Overwhelmed by the tale, Oberon nonetheless managed to ask, "Why couldn't they all just travel back in time to escape the destruction?" After a pause, Bertha said, "From what I could gather of personal information, they had few such time travel devices or machines for a vast population. Also, I detected a note of fatalism. Prone to thinking and feeling as one mind, it diffused throughout. To go back in time, no matter how far, would not forestall the eventuality of the loss of their Earth and all its creatures." "The fact that we and all other living things on the planet exist, is that proof that they succeeded?" asked Waslow. "I could go into the details, but suffice it to say that a joining of equal psychic frequencies multiplied their harmonic energies into a crescendo of symmetric tension and compaction. On reaching a critical point, the nonlinearity inherent in the emergent whole created an instability along the time dimension. Spontaneously, a mitosis occurred, a duplicate of archetypal structure spun off on its own. This timeline, this alternate reality, this universe of our existence is an offshoot of theirs, a branch of possibilities imbued with their essence." "You said mitosis," wondered Oberon. "A true mitosis would create two new daughter cells. Could they have created two new timelines?" "Unknown, professor, it was a metaphor that came to me. Perhaps not completely analogous." "Analogous or not," said Waslow, "are you saying we're somehow their descendants? We don't look at all like them. Cousins? Stamped with their souls? And to my knowledge no one has ever found a fossil of a vertebrate insect; although that evolutionary synthesis may have come much later down the road." He knew he was resisting acceptance of Bertha's explanation, her translation and interpretation. Though programmed to recognize well-defined stress-inducing situations and to be considerate of the human emotions such could evoke, she wasn't human, after all. She was neural tissue encased in a protoplasmic gel which enabled the formation of synaptic connections. She couldn't appreciate the implications, the finer points, it was all just data to her. Do we owe our existence to these alien creatures who wouldn't have done what they did if their world wasn't facing annihilation? Were we born on the ashes of their world? What of us is them, and how can we know? He made the effort to rise above it, to be objective. "However," he began, "all species on Earth share certain conserved regulatory genes. Vertebrates, insects, worms. And we've found homologous archetypal arrangements in the minds of insects and other arthropods. Their project, and we know so little of its scope and means, epigenetically manipulated, in a deliberate way, the fundamental paradigm; it inscribed additions and alterations not only physiologically but also on the collective unconscious level. Epigenetically resonating, and thereby strengthening, those unconscious archetypes that serve to support expression of their way of thinking and behaving, of seeing the world. Is that even possible, professor? You're the expert." "Well, we ordinarily think of archetypes in terms of pattern and content appearing in our conscious mind as ideas, images, and symbols which give them meaning. But an archetype is not something definite, its representation is variable and that can't be inherited. The archetype is a tendency to form such representations and they can vary a great deal in detail without losing their basic pattern. But in order to be able to interact with them through physical means, they must possess a physical character on some level. "These people, whoever they are or were, seem to have known how to map individual archetypal energy fields to separate patterns of biochemical neural networks and by so doing instill or imprint the minds of creatures with their collective unconscious. A grafting of mental predilections. I would love to talk to them about it, it would be most enlightening. Assuming, of course, I could grasp the ideas. Their perception of reality must be very different, what they're able to discern and conceptualize. "A mathematical model can only take you so far. An intangible. What concerns us is the substance beneath, what it represents, the emergent field generated as a result of dynamic interaction among parts, parts spawned at the dawn of time. Especially archetypes that embody the status of the self and its relation to others. All the inherited memories your friend Clover has from that time, the Carboniferous, that have to do with the self form a complex of associations. Affecting those associations as they attempted to do, and might have, may very well create a new sense of self, a new definition, altered by the aliens' program, enhanced and redirected. Probably across time, into the future, insects not being restricted by the time dimension. "Archetypes are alive in ways we can't measure. But perhaps, they were able to." Running out of gas, he fell into a brooding silence. Though he struggled, it was too much for him to get his head around at one time, if ever. He looked over at his friend and colleague, he too appeared overwhelmed and withdrawn, almost painfully so. Lost in thought, Waslow nevertheless roused himself to stand, then opened a cabinet and retrieved a bottle of cognac and two glasses. Making a show of sneaking out, he nodded with a smirk to Oberon towards the porch as he went by. They sat near the banister peering under the rail at the lake like two school boys; the sun just past high beamed its warmth to their frazzled bodies. They drank and stood and walked around and talked of all things personal they'd done together and apart, laughing at certain remembrances with equal portions of embarrassment and indifference. The sun slid out of view, casting streaks of yellow, orange, and vermillion on the Lake and the snowy mountaintops beyond. Two separate worlds sharing the same earth, joined by the light of a single star. Back on campus in the Hexadarium, the night insects were out. Clover was asleep on a branch near the fabricated swamp. He dreamed he was flying high above a broad sea with hundreds of other dragonflies. Mountains and forests could be seen in the distance. They descended and landed in the trees; a wide field of grass lay before them. Insect people were celebrating, loudly and with exuberance. He flew closer, landing on a branch over a table laden with food and drink. People sat about, some lying on the grass talking and laughing. Beneath their talk he could see feelings radiating in all directions, combining and fusing with others all around. As far as he could see from his high perch were people, their minds linked, a wave of joy and happiness wafting to and fro across the spacious plane. He listened, the resonances appeared just below the surface. A disaster of unimaginable proportions had been averted. An evil darkness laced with fear and anguish had been dispatched to oblivion. The threat gone. He flew over the crowd, cruising on the buoyancy of an ocean of enthusiastic, loving feeling. He rose ever higher to glimpse the stars, then dove back down to be part of it all.